How carefully have you screened your Language Services Provider? And how carefully have they screened themselves? As we mentioned several months ago, medical translation can be complicated. To begin with, your company needs to make sure your Localization Services Provider (LSP) is scalable. Can they handle the complexities of large, multilingual medical projects with tight deadlines? How about the strictly-regulated quality assurance that is required in today’s medical localization marketplace? Add to that compliance with medical translation certification processes and multiple international regulations, and it becomes clear that you need the best and most informed translation partner you can find. You also need one that is HIPAA-compliant. What does this mean for your company if you need to have medical content translated? You need to be sure you are working with the right LSP. Has your LSP’s entire staff undergone official HIPAA training? MediaLocate undergoes a stringent set of HIPAA training sessions annually. We just finished our latest session, and we are happy to say that we passed with flying colors…again! 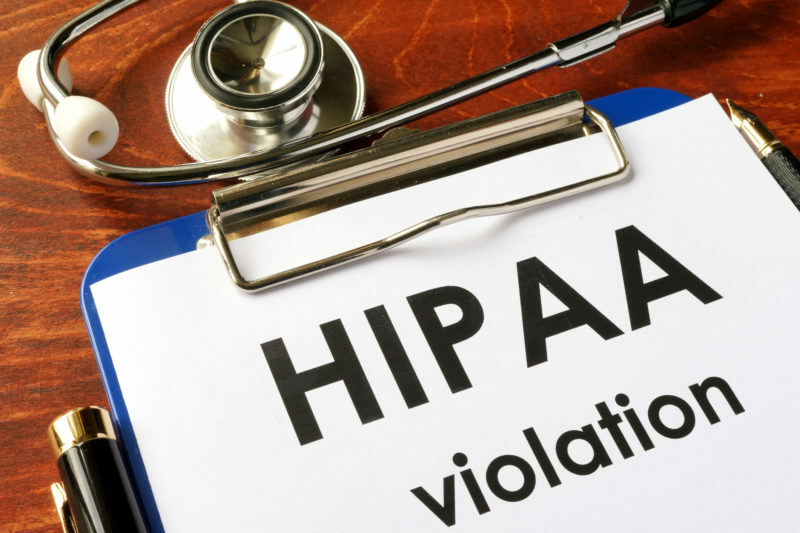 While many medical translation providers may claim that they are HIPAA-compliant, it is a good idea to dig a little deeper into their claims. As a Business Associate providing services to medical companies (known as Covered Entities – CEs), MediaLocate underwent a rigorous investigation process aimed at identifying and verifying that all of our translation workflows and our IT infrastructure were HIPAA-compliant and that they ensured maximum safety of any PHI. What processes does your LSP use when screening and qualifying its subcontractors? MediaLocate uses the same criteria for our medical translation partners that we have in place for our HIPAA compliance program. In consideration of HIPAA requirements, we routinely reject medical translation providers that would otherwise be qualified based on their experience in the medical industry. This gives us a much stricter set of selection criteria and ensures that we have a solid and compliant process from end to end. In addition to the above criteria, it is essential that your medical translations provider have the minimum ISO certifications to ensure not only accurate medical translations, but also the required data security and IT policies. MediaLocate is among a small and elite group of LSPs to have achieved multiple ISO certifications (including for medical devices and medical labeling). Not only are we ISO 17100-2015, ISO 9001:2008 and ISO 13485:2003-certified, we also hold ITAR Registration (regulations for international trade and national data security). It is a sad fact that many in the language services industry accept work for which they are not qualified. For medical translation, there is no substitute for academic and professional training in the medical field, itself. 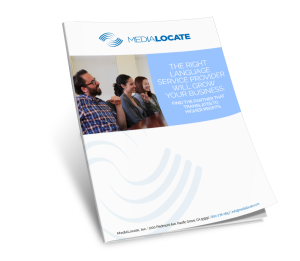 At MediaLocate, we take pride in building subject-matter expert (SME) translation teams, with signed NDAs and a demonstrated and continuous commitment to delivering the highest quality work possible. In addition to their professional qualifications, MediaLocate’s translation teams must safeguard any HIPAA-related work done on their premises. Part of our HIPAA-compliance process is to audit those team members for such compliance. Does your LSP have sufficient security systems and protocols in place to properly safeguard PHI, or any other confidential information? Thanks to our HIPAA Compliance Officer, MediaLocate ensures that our clients’ confidential information is secured with card-scan entry, WorldServer technology and DoD-level security compliance. What’s more, our free MyMediaLocate client portal is available via secure login and third-party authentication protocols. Curious as to how you can get started with HIPAA-compliant medical translations? Contact our expert medical translation team at medical@medialocate.com or call 1-800-776-0857 to learn more! Understanding the differences between language service providers (LSPs), especially if you’ve never hired one before, can be difficult. In this free guide, you’ll gather the important insights you need to make a smart decision.